Salesforce Solutions: See how Mission Edge used Predictive Response to increase memberships by 15%. CampaignFlow was implemented by Mission Edge consultants to automate the membership appeals and renewal reminders for Voice of San Diego. 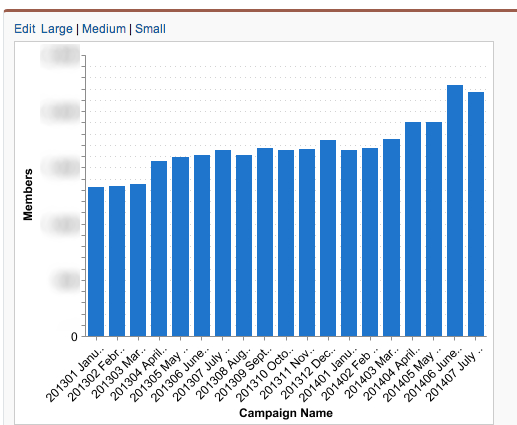 CampaignFlow moves new leads into an Adaptive Mailer drip email campaign and then automatically turns off the drip if the recipient makes a membership purchase. Within weeks of implementing Predictive Response, Voice of San Diego saw a 15% increase in their membership as CampaignFlow was used to identify key prospects and move them immediately into an Adaptive Mailer drip email campaign. Using CampaignFlow’s scheduler, Voice of San Diego is also able to automate their 90-day renewal campaign. As the expiration date of a membership is reviewed daily by CampaignFlow, renewal reminders can be sent without involving staff time to run reports and update campaigns. Voice of San Diego staff are now freed up (they estimate a savings of 2 to 3 hours per day) to speak with their members rather than manage data.